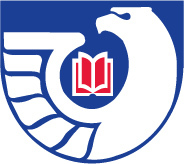 The Marshall Brooks Library is a federal depository of government information. As a member of the Federal Depository Library Program, we provide free public access to a wide variety of federal government information resources in both print and digital formats. The library’s print collection of government documents, containing vital sources of information related to the Federal Government’s activities, is housed on the library’s third floor overlooking Howard Center. Additional government information containing topics of interest to the 13th congressional district of Illinois can be found on this guide, which is accessible through the library’s homepage. Please feel free to visit or contact us with questions about locating federal government information. “This library is a congressionally designated depository for U.S. Government documents. Public access to the government documents collection is guaranteed by public law" (Title 44 United States Code).